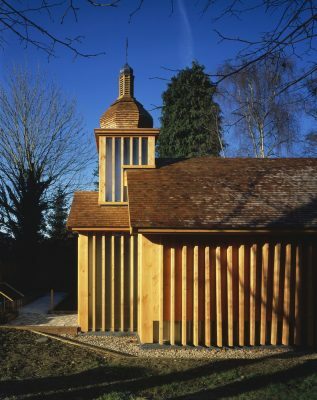 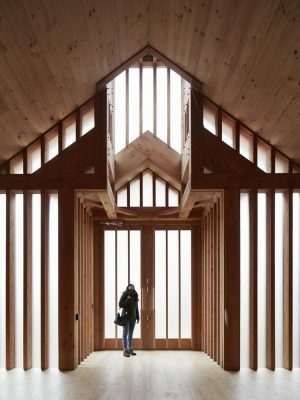 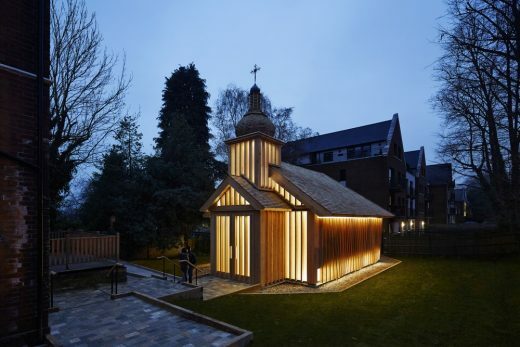 This 70sqm project is the first wooden chapel to be built in London since the Great Fire of 1666. 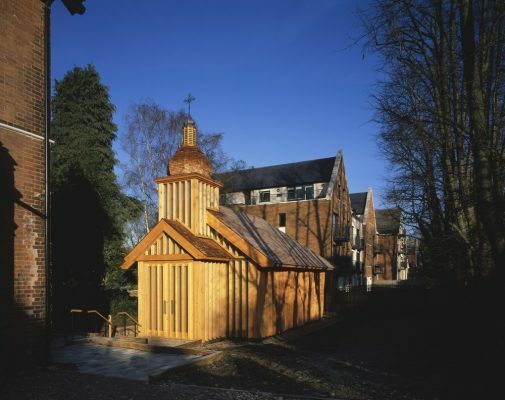 Built for the Belarusian diaspora community in the UK, it is dedicated to the memory of victims of the 1986 Chernobyl disaster. 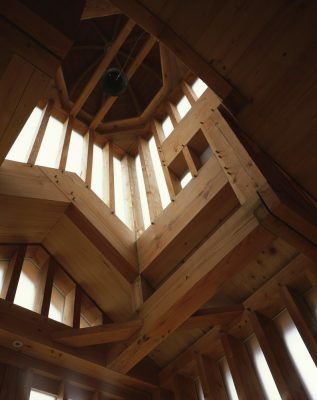 Timber serves as a reminder of the loss of many wooden Belarusian settlements. 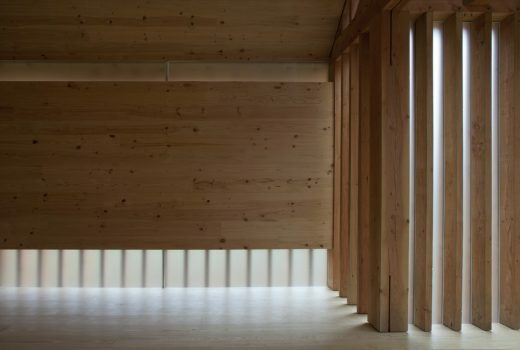 A series of contemporary elements have been introduced to the basic traditional form, such as the undulating timber frill of the flank walls which enlivens the exterior. 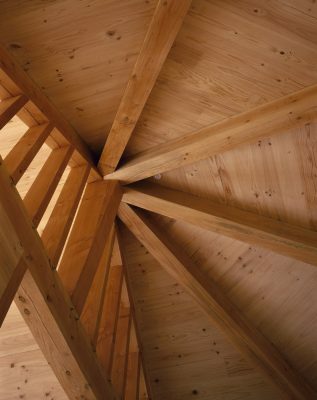 The principal structure uses Douglas Fir, chosen for its appearance, reduced drying shrinkage and ability to yield very large structural sections. 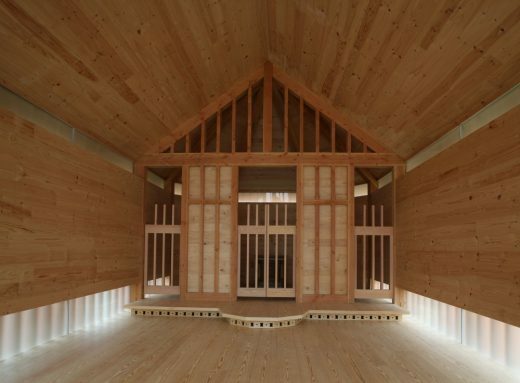 The frame was fabricated and erected to an exacting tolerance of 2mm in order to accurately interface with the Radiata Pine CLT panels. 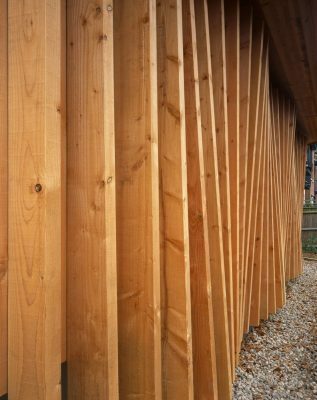 All timber is self-finished and external timbers will weather naturally. 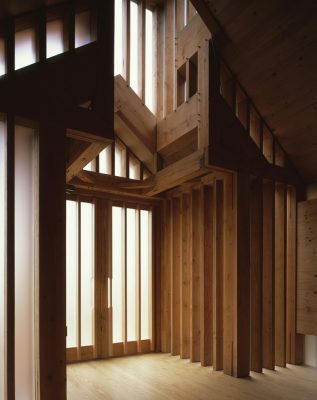 The overall appearance is of a wholly timber-made building.